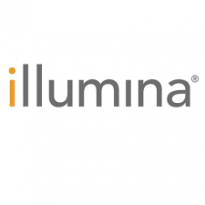 Illumina (ILMN), provides sequencing and array-based solutions for genetic analysis. Most shareholders do not vote because reading through 70+ pages of the proxy is not worth the time for the small difference your vote will make. Below, I tell you how I am voting and why. If you have read these posts related to my portfolio for the last 22 years, have values aligned with mine, and trust my judgment (or you don’t want to take the time to read it), go immediately to see how I voted my ballot. Voting will take you only a minute or two and every vote counts. The annual meeting is coming up on May 23, 2018. I voted with the Board’s recommendations 67% of the time. View Proxy Statement via SEC’s EDGAR system (look for DEF 14A). Read Warnings below. What follows are my recommendations on how to vote the proxy in order to enhance corporate governance and long-term value. From the Yahoo Finance profile: Illumina, Inc.’s ISS Governance QualityScore as of May 1, 2018 is 9. The pillar scores are Audit: 1; Board: 9; Shareholder Rights: 6; Compensation: 9. Egan-Jones Proxy Services recommends “For,” all board nominees, except Jay T. Flatley, who they judge as overboarded and doing an inadequate job overseeing cybersecurity. Agreed. Vote AGAINST Jay T. Flatley. I have no reason to believe the auditor has rendered an inaccurate opinion, is engaged in poor accounting practices, or has a conflict of interest. However, Egan-Jones notes that Ernst & Young, LLP has been serving as the Company’s auditor for over seven years, so their independence is compromised. They also several other issues. I also believe that the companies should consider the rotation of their audit firm to ensure auditor objectivity, professionalism and independence. I have not set a specific number of years. ILMN’s Summary Compensation Table shows the highest paid named executive officer (NEO) was CEO Francis A. deSouza at $8.8M. I’m using Yahoo! Finance to determine market cap ($40B) and I am roughly defining large-cap as $10B, mid-cap as $2-10B, and small-cap as less than $2B. ILMN is a large-cap company. According to the Equilar Top 25 Executive Compensation Survey 2015, the median CEO compensation at large-cap corporations was $10.3M in 2014, so pay was well under that amount. ILMN shares outperformed the Nasdaq over the most recent one, two, and five year time periods. It does not appear on As You Sow‘s list of the 100 Most Overpaid CEOs. Prior reports have shown that being on that list is correlated with lower returns in subsequent years. For fiscal 2017, the annual total compensation for Mr. deSouza was $8,807,716, and for our median employee was $102,920, resulting in an estimated pay ratio of 86:1. Egan-Jones Proxy Services takes various measures to arrive at a proprietary rating compensation score, which measures wealth creation in comparison to other widely held issuers. “Good” is their rating given on compensation issues for ILMN and they recommend For the say-on-pay item. Given below median pay, good performance and the recommendation of E-J, I voted for. This is my proposal (James McRitchie), so of course I voted FOR. The proposal is good governance, seeking annual election of directors… phased in. In 2010 over 70% of S&P 500 companies had annual election of directors. Now that number stands at 90%. Egan-Jones notes: “It is intuitive that when directors are accountable for their actions, they perform better. We therefore prefer that the entire board of a company be elected annually to provide appropriate responsiveness to shareholders.” They recommend for. Proxy Democracy is still down. I am starting to look for contributions to bring it back to life. Proxy Democracy provided information on votes cast in advance of annual meetings by institutional investors at thousands of companies. If you think that is worth contributing financial support, please contact me. As I write this, Proxy Insight had reported on Texas Teachers, Trillium and CBIS, which voted in favor of all items, including the shareholder proposal… as did CalSTRS. Supermajority vote requirement (67%) to amend certain certain bylaw provisions. Under SEC Rule 14a-8, a stockholder who intends to present a proposal at our 2019 annual meeting of stockholders and who wishes the proposal to be included in the proxy statement for that meeting must submit the proposal in writing to our principal executive offices. The proposal must be received no later than December 7, 2018. The proposal and its proponent must satisfy all applicable requirements of Rule 14a-8.